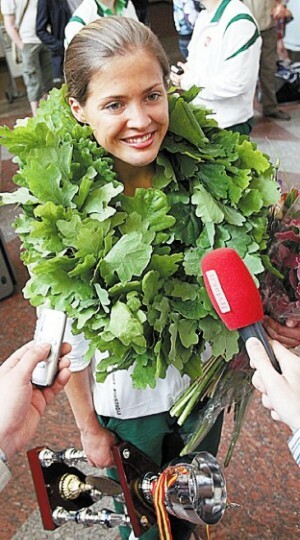 Rita PivoriÅ«naitÄ— welcomed back in	Vilnius. 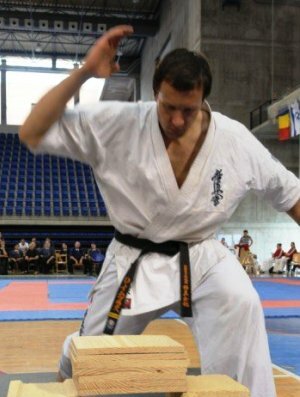 At the European Karate Championship 4 & 5 June 2010 in Logrono, Spain, Lithuaniaā€™s sportsmen won 10 medals ā€“ 5 gold, 4 silver and one bronze. 149 competitors from 14 countries competed in the championship in the adults section. Lithuania took the overall top position among the competing countries. Lithuanian gold medallists were Rita PivoriÅ«naitÄ— (2 gold), Inga MikÅ�taitÄ—, Margarita Ä�iuplytÄ— and Donatas Imbras. Silver medallists were RÅ«ta BrazdÅ¾ionytÄ—, AndÅ¾ejus Milevskis, Darius Gudauskas and Lukas Kubilius. Bronze was won by Mindaugas Pavilionis. This year the karate championships were particularly successful for Lithuania. So much so, that in a couple of the finals the competitors were both Lithuanians! The European karate championship in 2011 will take place in Vilnius in April and Lithuania has been selected to host the world karate championship in 2013.